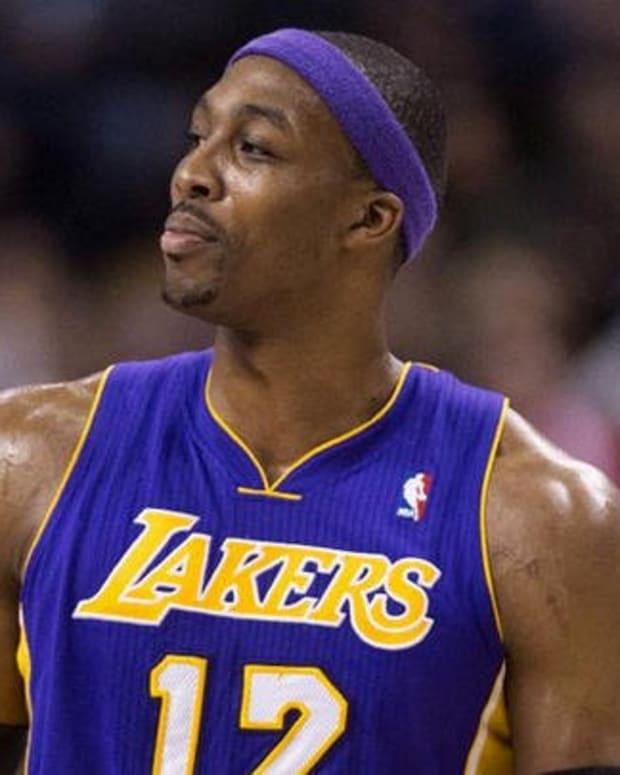 NBA Rumors: Are the Lakers Looking to Make Any Trades Right Now? The Los Angeles Lakers had an interesting summer. Whereas for any other team in the league adding either Steve Nash or Dwight Howard would be a big deal, for Mitch Kupchak and Co., adding two future Hall of Famers is just another offseason. And that’s to say nothing of the Antawn Jamison and Jodie Meeks signings that figure to at least partially upgrade what was undoubtedly one of the worst reserve units in the NBA. Given everything he has done over the past few months, it’s understandable that folks are taking Kupchak’s proclamations about not making any more deals this year with a grain of salt. Already the rumor mills are churning out stories of a pending Derek Fisher return and possible trades involving Chris Duhon and Steve Blake. The year hasn’t even started yet. That’s just the preseason gossip. During a recent interview with the Los Angeles Times, Kupchak was asked about what moves he envisions the Lakers making in the near future. His answers were intriguing, to say the least. On how the new luxury tax will play into L.A.’s decisions: "Maybe it&apos;s more of a concern for us than it is for a lot of other teams right now." On whether he expects to do any deals any time soon: "This time of year, teams are not looking to make deals. They&apos;re evaluating their team and if anything they&apos;re going to cut players as they go into the season." On guys currently on the roster (think: Duhon and Blake) getting traded: "Some guys may not be happy if they&apos;re not playing as much as they thought they&apos;d play or their contract&apos;s running out and they&apos;re concerned about their next contract. It&apos;s too early right now. There&apos;s a lot of energy and excitement right here. Everybody&apos;s pretty happy. So we&apos;ll just see how it plays out the next month or two." All in all, it’s probably a safe bet that the Lakers will stay pat for now. They have too many players signed as it is. Depending how the season progresses, though, it definitely wouldn’t be surprising to see Kupchak make some minor tweaks as he sees fit. NBA Rumors: Is Derek Fisher Returning to the Lakers Inevitable at this Point? NBA Rumors: Are the Lakers Looking to Trade Pau Gasol?